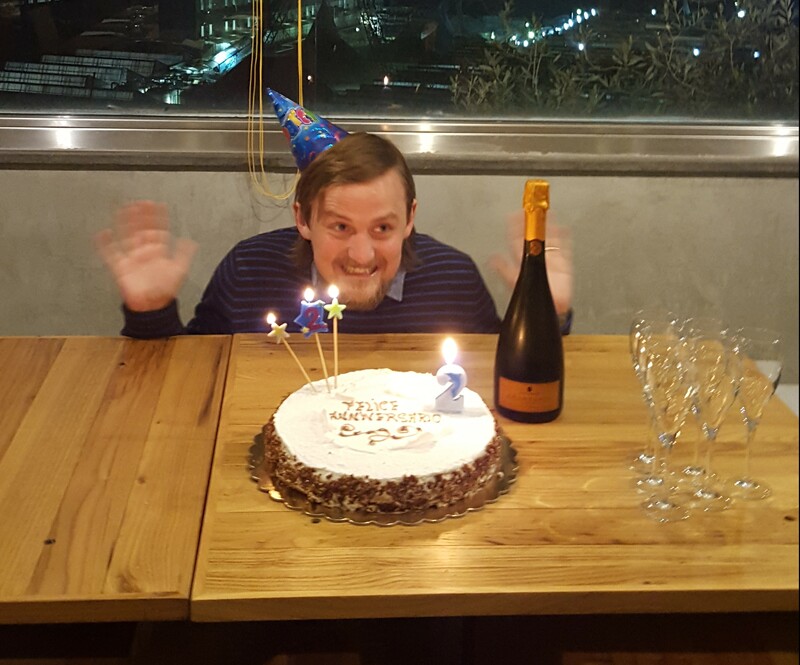 I probably shouldn’t have been celebrating with Prosecco, but last week I turned two. Before then, though, since my fabulous first second (second first?) birthday on 26th March last year, I had discovered that my first first birthday was pretty fantastic, too. Mariacristina and I were staying at my father’s with my sister Harriet, her husband Duncan and their indomitable twins (just a few months older than me in haematological terms), and my father had prepared a special treat for us. 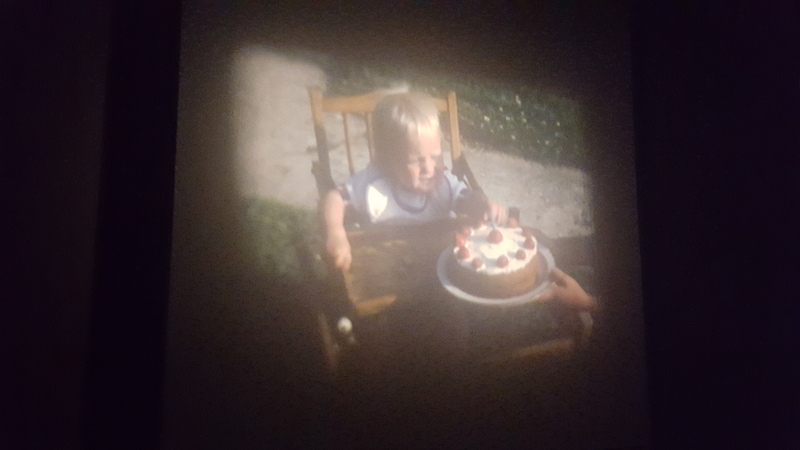 Closing the curtains and switching off the lights, he powered up his old cine projector and dusted off his collection of 8mm films from his childhood and ours. It was magical and moving. 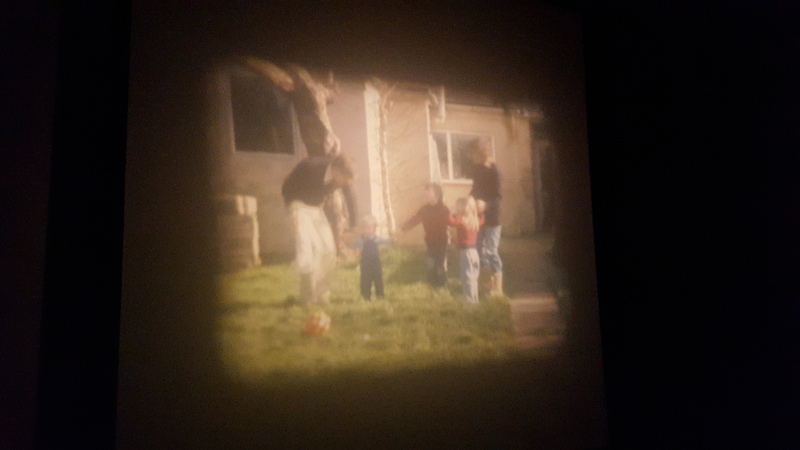 There were my grandparents, brought to life again on the screen enjoying an English summer in the garden: just parents then, with my pre-teen future father and aunt, Katie. Fast-forward 25 years or so and my heart lit up to see my mother at about the age I am now, with my elder siblings (Tom and Harriet), and, later, my then very small younger brother (Freddie) – and me. Sitting in a wooden high chair, I wait as my strawberry-topped birthday cake, decorated with one candle, is delivered – then start picking the strawberries off the top. Perhaps my love of cream came later, but that love for fruity puddings has never gone away. A happy first first birthday! It was wonderful to see, and reminded me that however important my philosophy of living in the present has been during my illnesses and treatment, none of it would be significant without all that history behind me. I’ve learnt to try to minimise the backward-looking “if only” thoughts that inevitably invade my brain when something doesn’t go to plan – but however idyllic or challenging different moments of my past may have been, they will always be the foundation of who I have become. So even as I get on with life, dismissing regrets for bad decisions I cannot change and focusing instead on what I still have a chance to get right, I recognise that the past gives me that vital fixed point from which I can measure the significance of the present. As I celebrated my second second birthday (two years since my stem cell transplant) last week with a surprise party at the fantastic tivoliPizza in Italy, I could only grasp the magnitude of what the milestone meant to me by appreciating what had come before. Almost 33 years ago, I was sitting in my high chair stealing strawberries from my first birthday cake. Fourteen years ago my mother died, having taught us how to live and love. 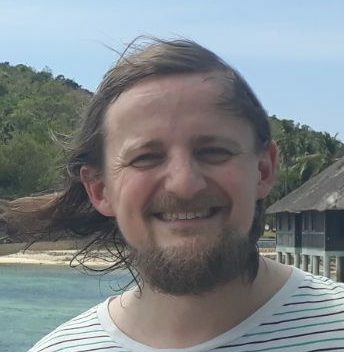 Just over ten years ago I was diagnosed with acute lymphoblastic leukaemia. Nearly five years ago I married another incredible woman bursting with love and life. Two years ago I had my transplant, six months after relapsing. And today, I soak up the moment of being here, being alive and being loved, knowing it only means so much because of everything that came before. George, you are an amazing young man, with a wonderful wife, a terrific family and step family and Italian family and all the bravery in the world. Thank you Sukie – you know I couldn’t have done any of it without them all, as well as all the wonderful friends who have supported me online and offline. I’m a very lucky man! Congratulations George. I’ve been revisiting your blog today as I near day +50. Happy to say your thoughts have (as usual) helped to remind me of the progress I’ve made and that every step is going in the right direction. Thanks, Aileen! Brilliant to hear you’ve reached Day +50; it seems like yesterday I was reading about your engraftment (hurrah!) – and strangely seems both a lifetime ago but not very long ago at all that I was there… Time wobbles in remarkable ways. As you say, though, every day is progress!